HOUSTON (KTRK) -- A 15-year-old boy will be tried as an adult for his alleged role in a violent robbery that closed down a pizzeria for three months. Quantavious Duncan is just a juvenile, but he's accused in a horrendous robbery that left the owner of Daddy O's Pizza and his family very shaken. Employees fought off robbers with chairs, Tracy Clemons reports. Back in April, we showed you dramatic video from the pizza shop on Antoine. Duncan is allegedly one of three armed robbers seen on surveillance video beating a restaurant employee and family members with their fists, even chairs. Darien Ross, 18, has been identified as a second suspect. The third suspect is still at large. Daddy O's Pizza back in business after robbery. The restaurant's owner told Eyewitness News after the robbery that he was going to buy a gun so this didn't happen again. His daughter described how the men pistol whipped her father, punched her aunt and pulled hair from her own head. 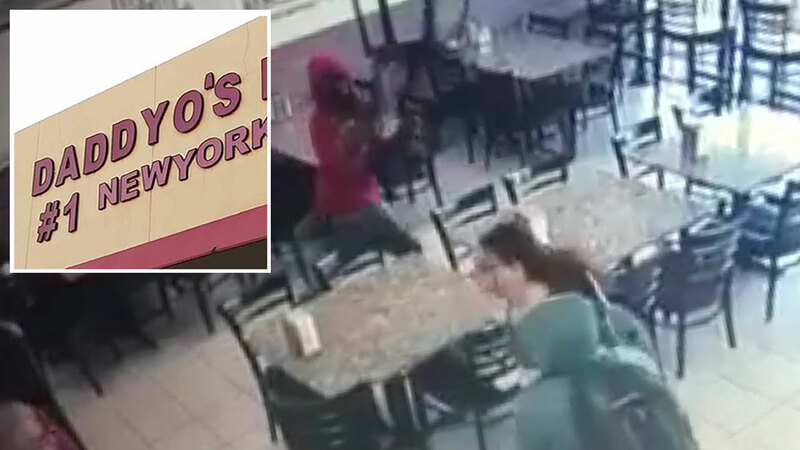 The three suspects allegedly posed as customers and then began their assault, according to the restaurant owner's family. They also said they might be the same men who robbed them in November 2015. Later this morning, we will tell you what happened in court and what the teenager accused in this crime can expect next.